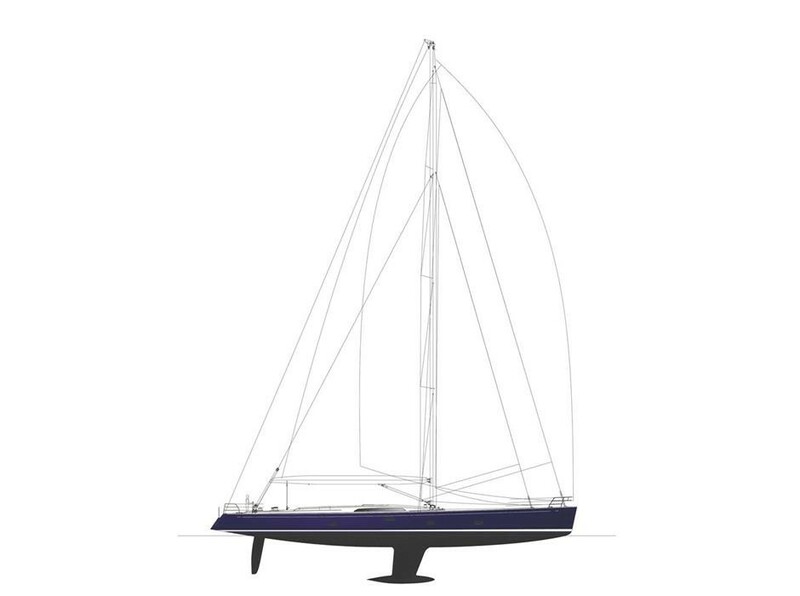 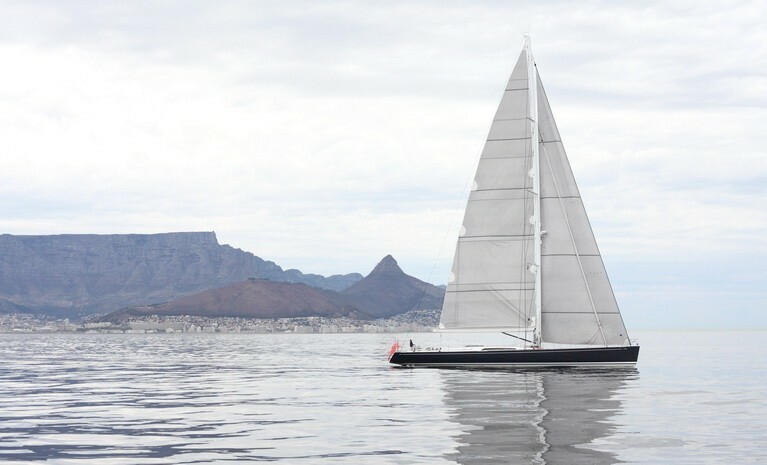 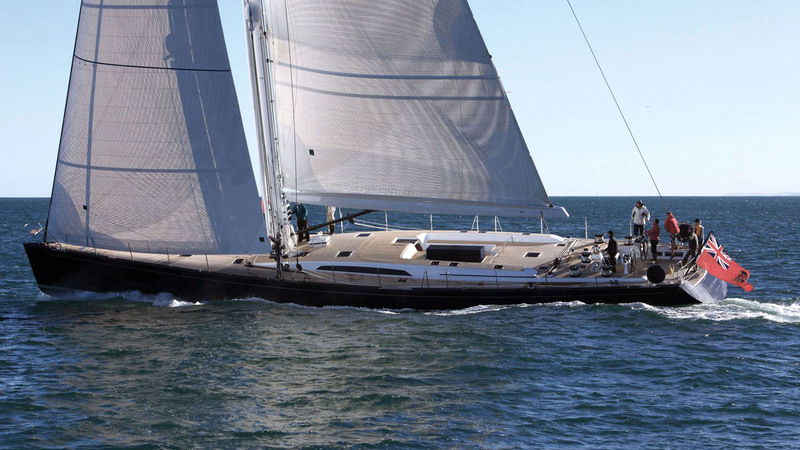 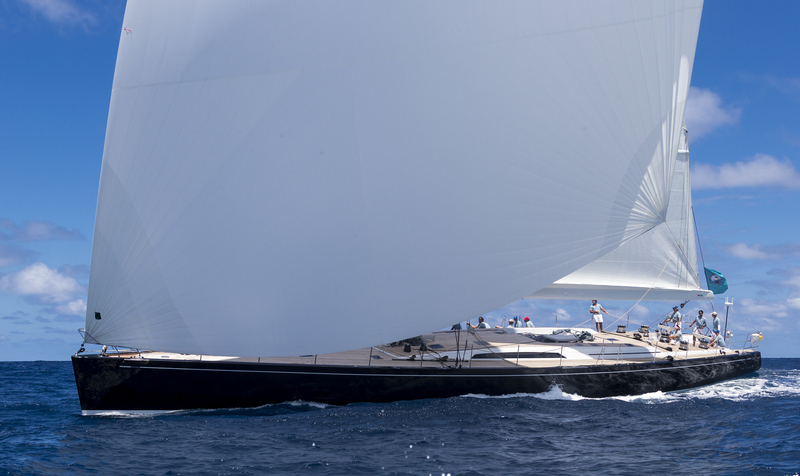 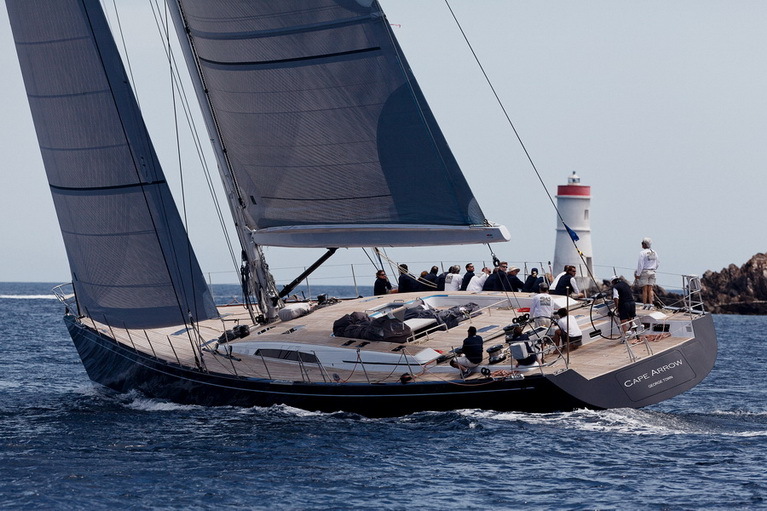 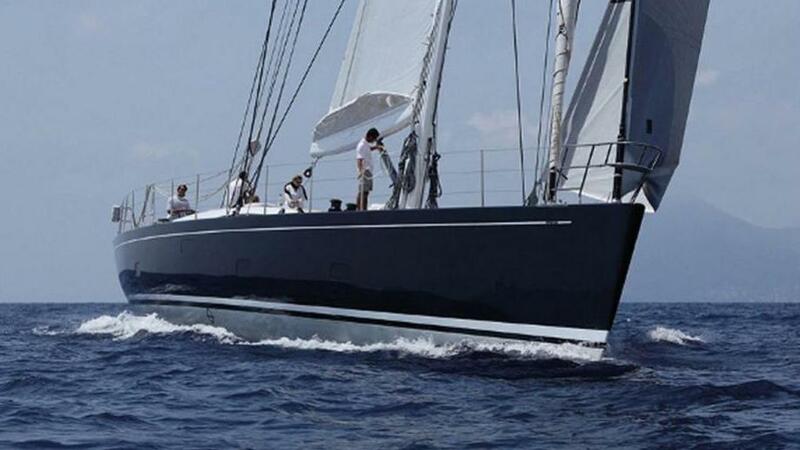 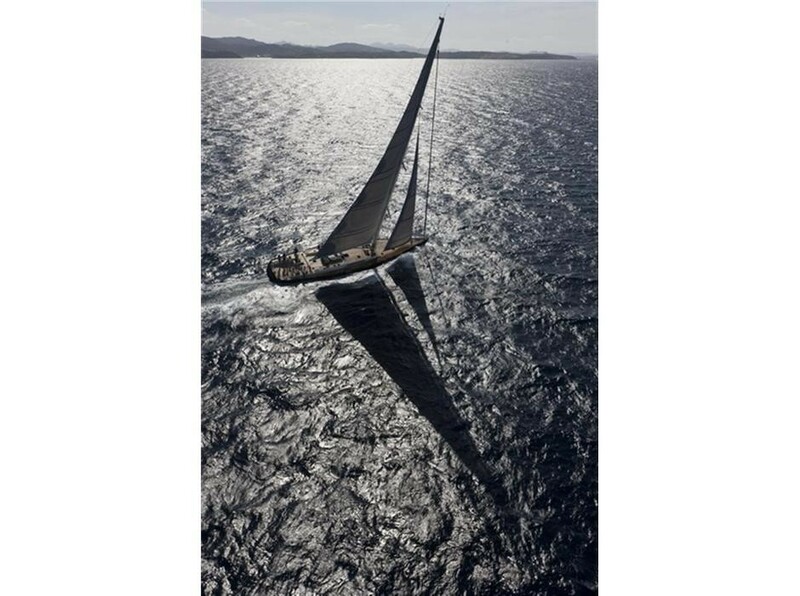 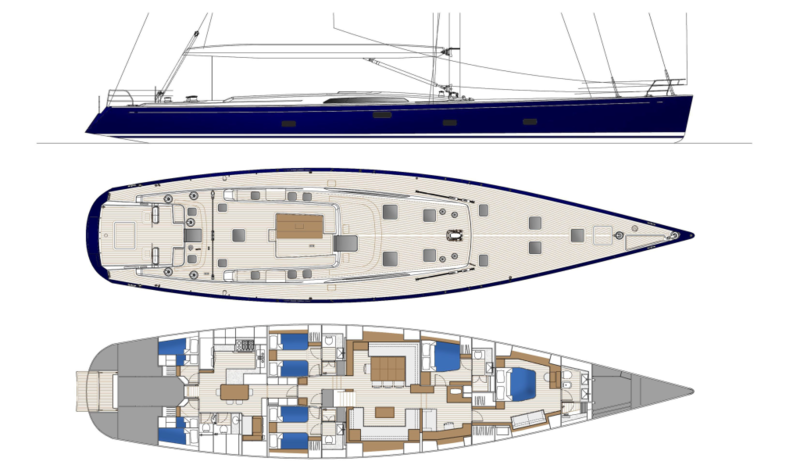 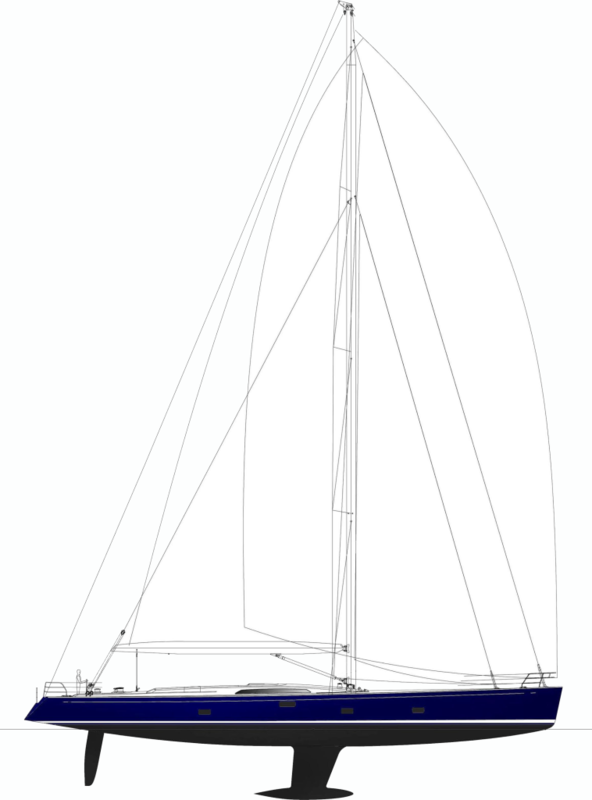 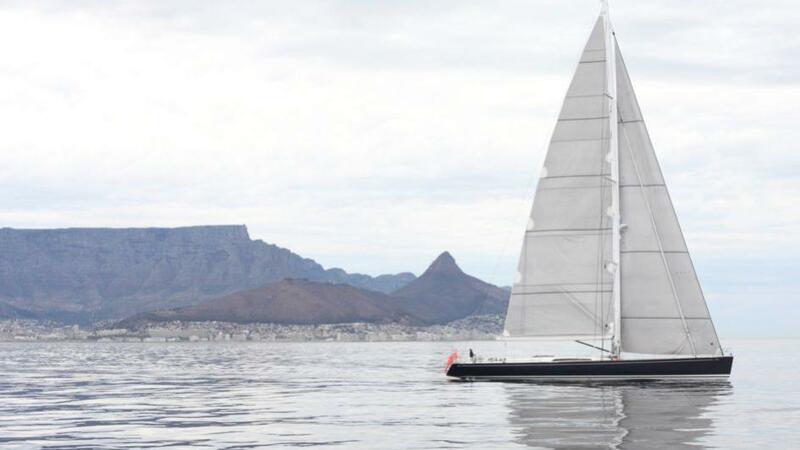 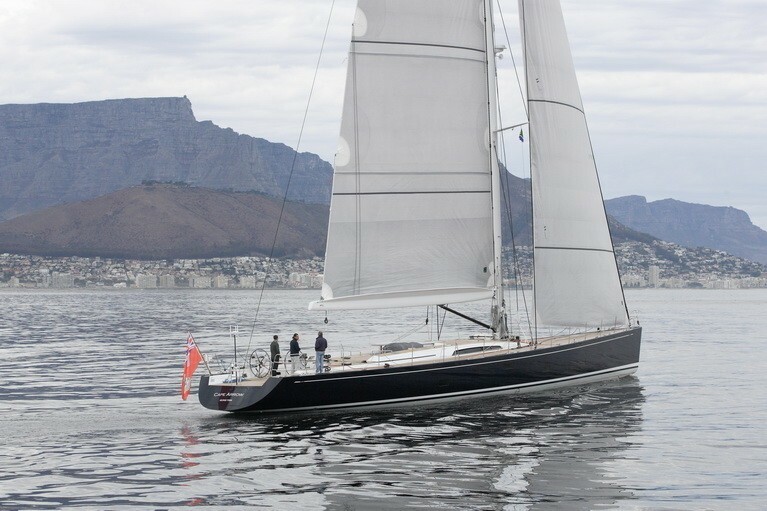 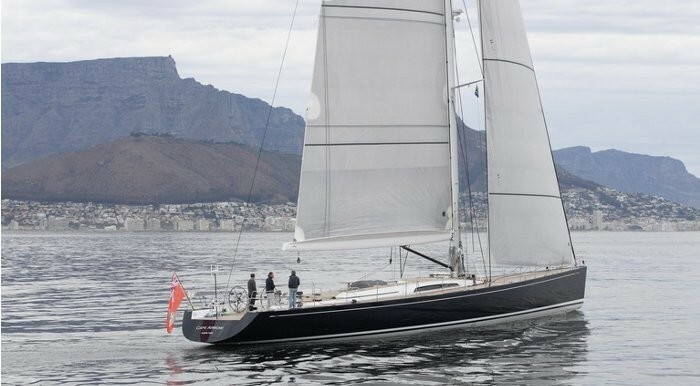 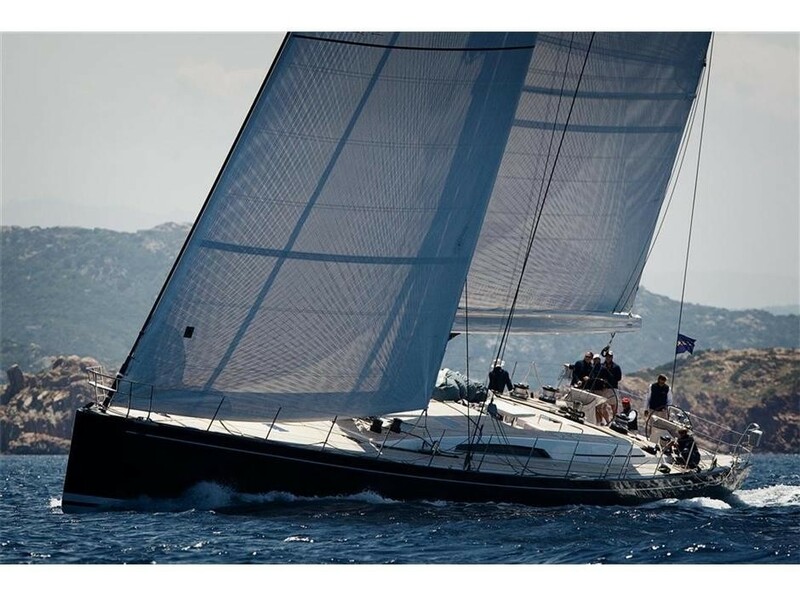 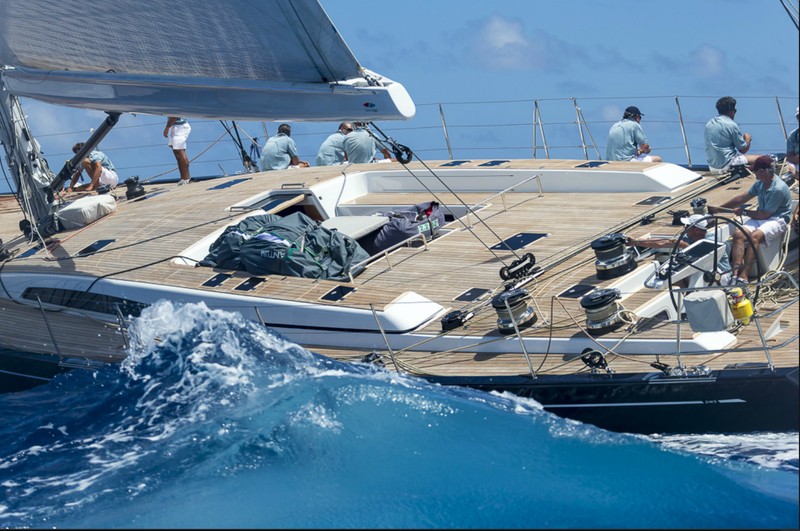 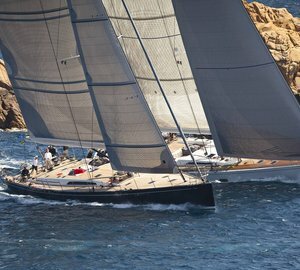 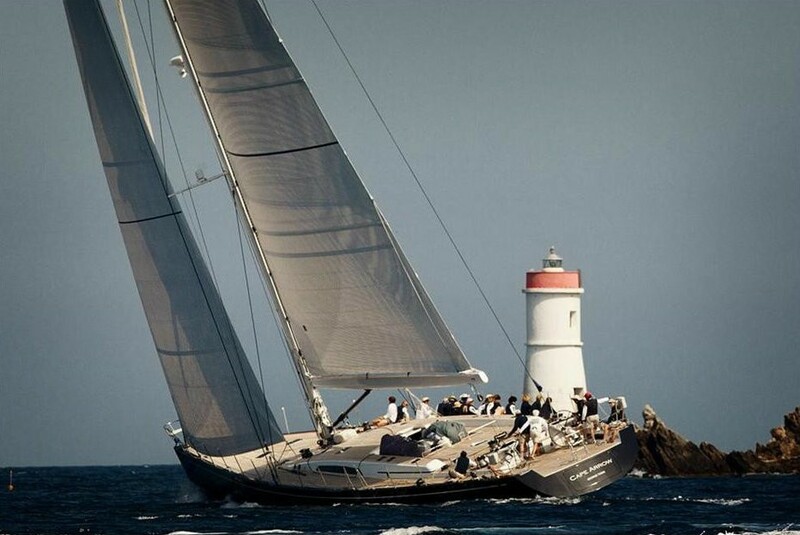 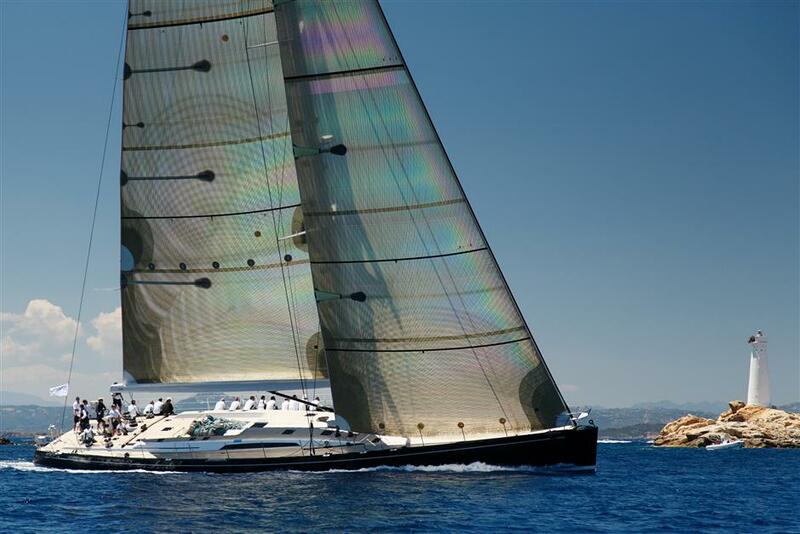 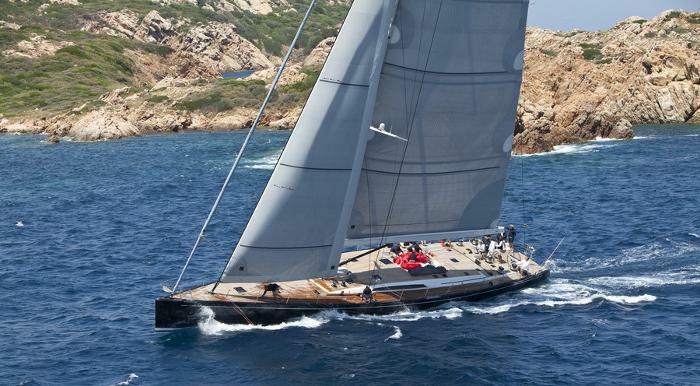 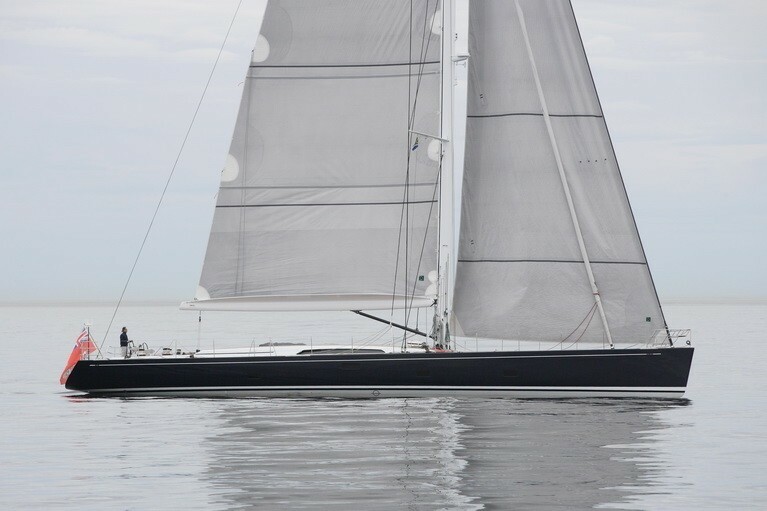 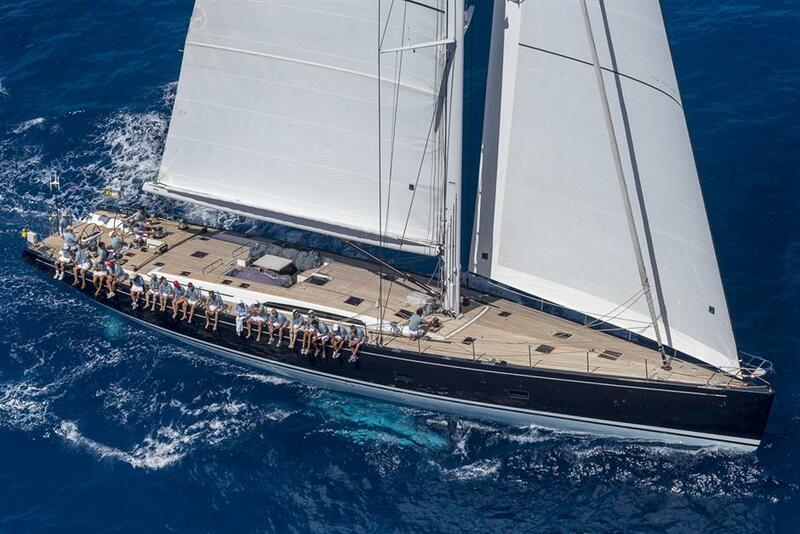 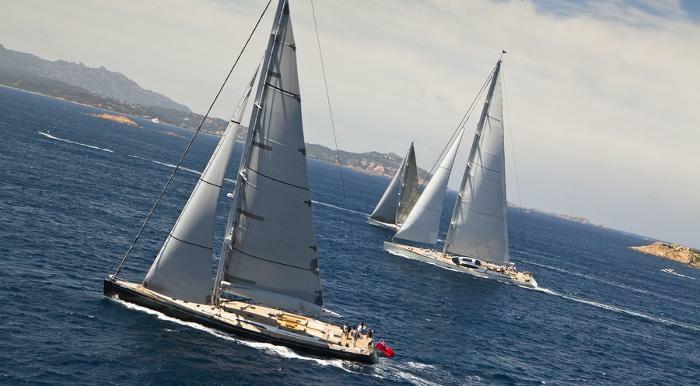 Built by South African shipbuilders Southern Wind, 30m/99ft sailing yacht CAPE ARROW is a composite construction of carbon fibre, kevlar and epoxy resin to create a high performance, lightweight hull. 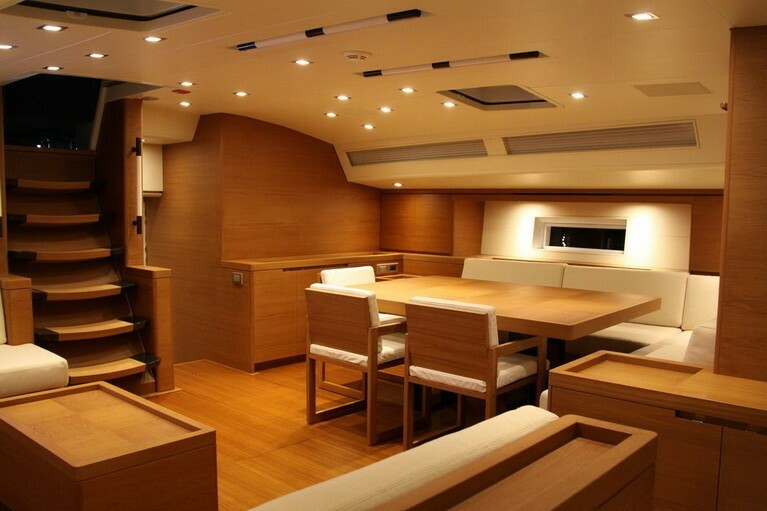 The naval architecture was completed by Farr Yacht Design and the modern interiors and exteriors were completed by Nauta Design. 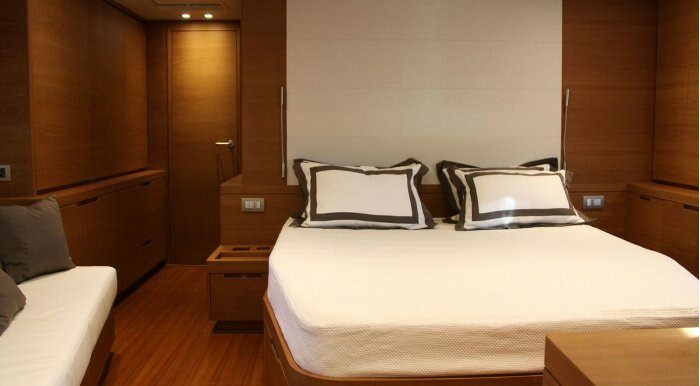 Originally built in 2011, she was last refitted in 2016 to update her interiors and technology to maintain her cutting-edge performance and comfort, offering accommodation for up to 8 guests across 4 spacious cabins. 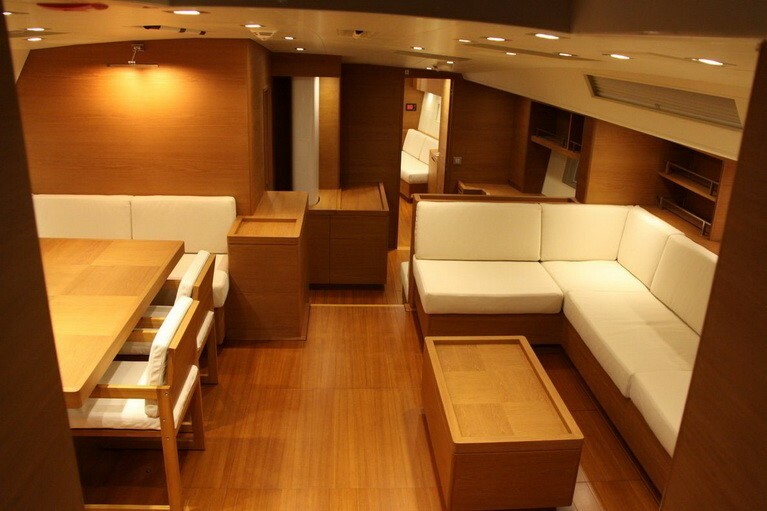 Below deck, the salon and formal dining area share the same space, using a modern colour scheme of mid-brown wooden panelling against white furnishings with charcoal accents. 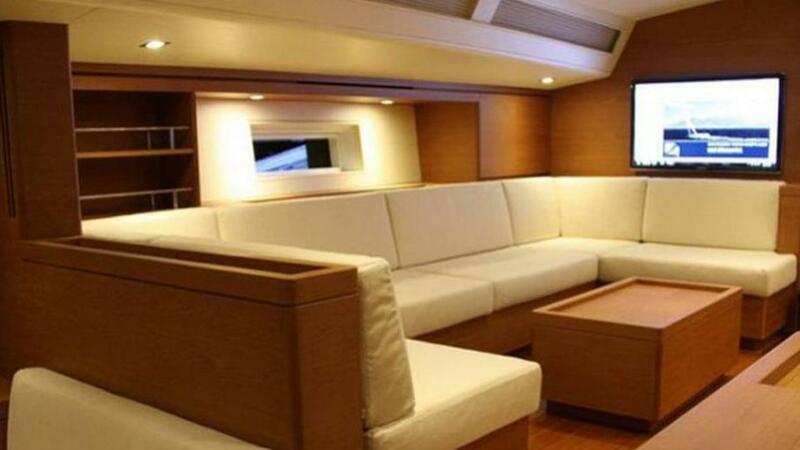 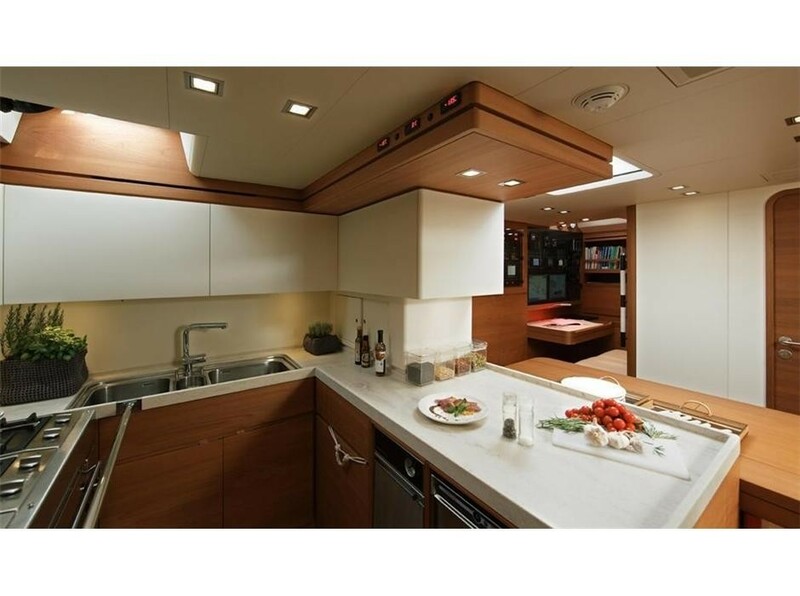 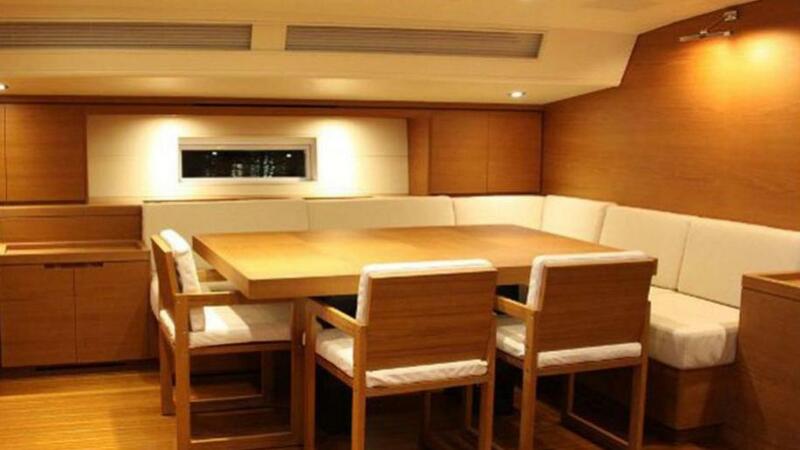 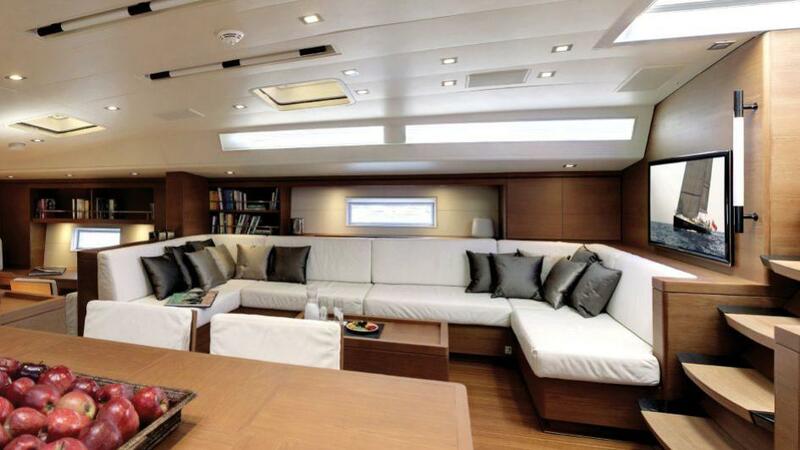 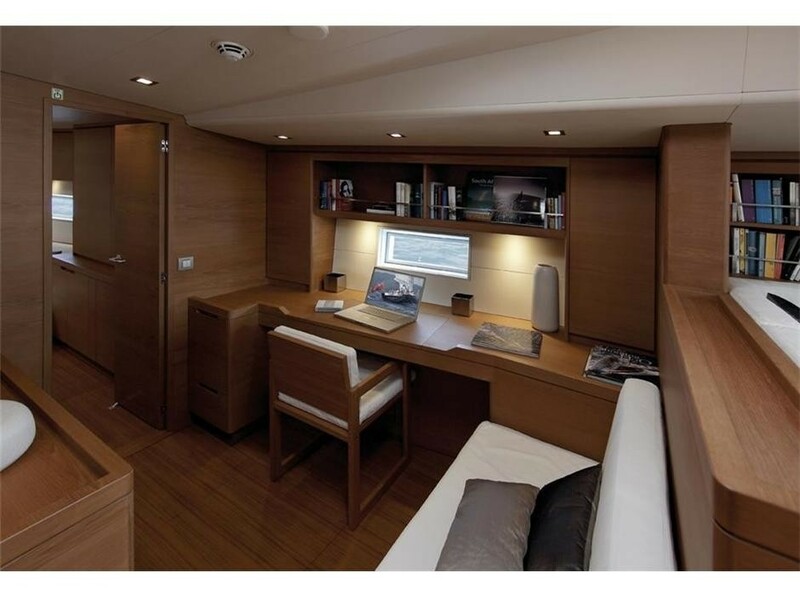 The starboard side contains a C-shaped lounge and a TV with skylights above for natural lighting throughout the day, while the large dining table surrounds an L-shaped sofa with dining chairs on the port side. 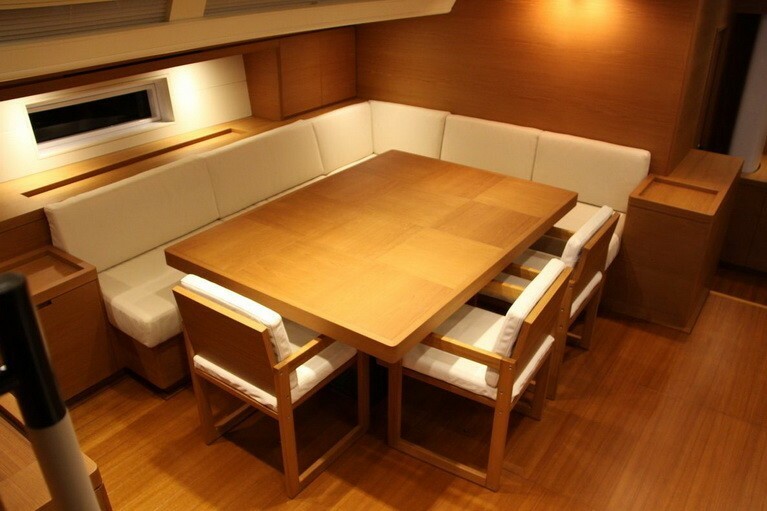 Behind the dining area is a space for guests to sit and study or spend time on hobbies. 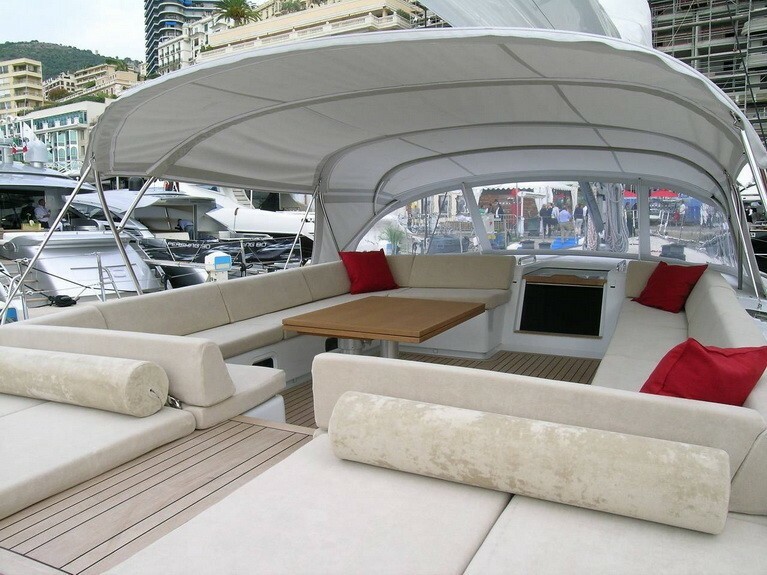 Above deck, the spacious bow can be used for exercise while the large cockpit in the middle is the perfect place for guests to rest outdoors: The integrated seating offers a generous area for up to 8 guests to enjoy an alfresco meal, shaded by the bimini cover or exposed to the sunshine. 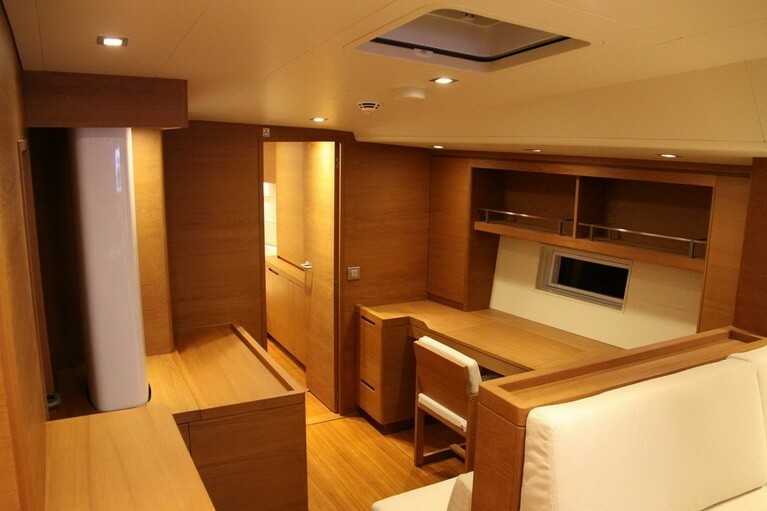 Between the cockpit and the aft helm station there are a couple of sunpads, while the stern is fitted with a ladder for ease of access in and out of the water. 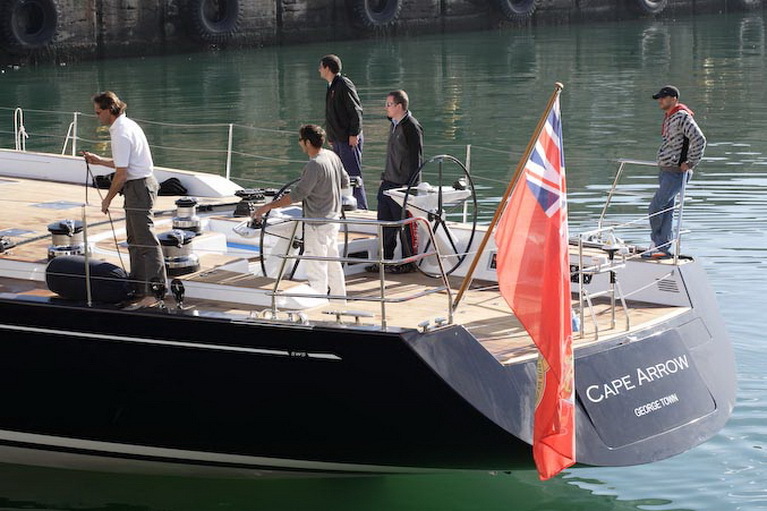 Using one Cummins QSB 5.9 MCD engine, superyacht CAPE ARROW is capable of 305 HP for a cruising speed of 10 knots and a maximum speed of 11.5 knots. 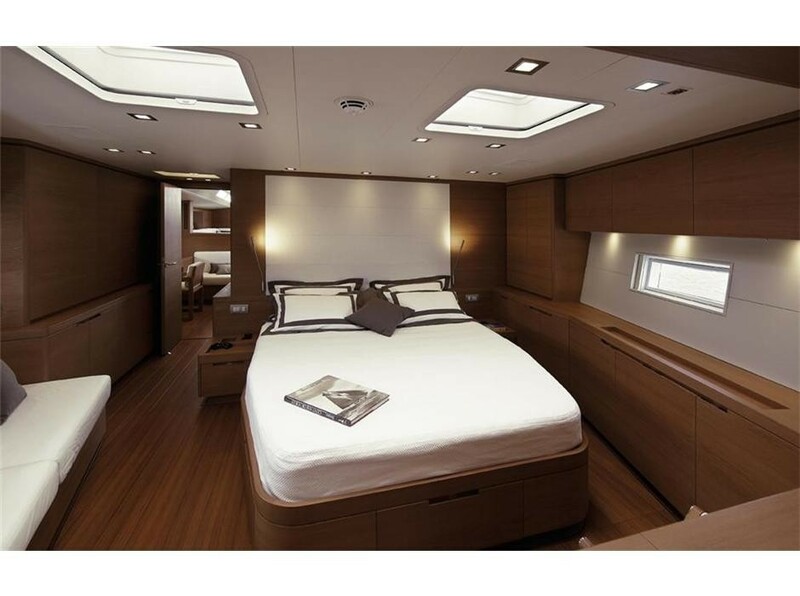 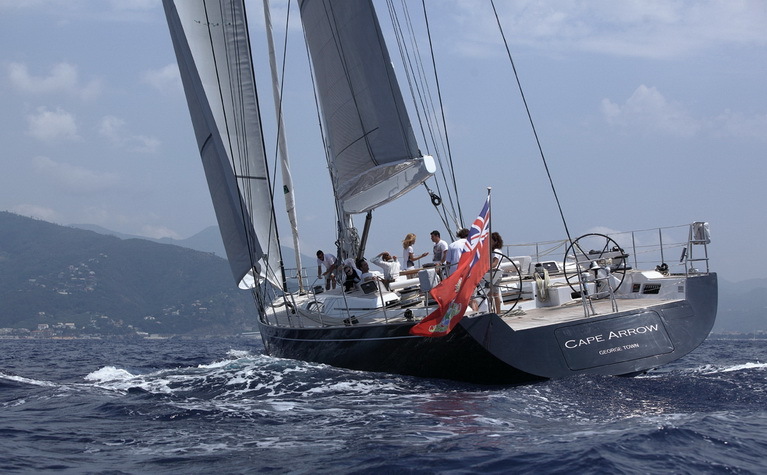 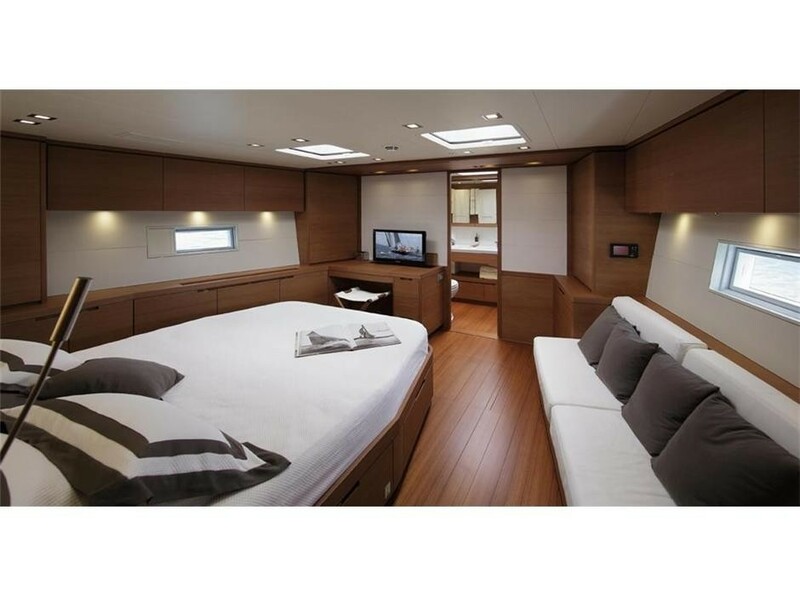 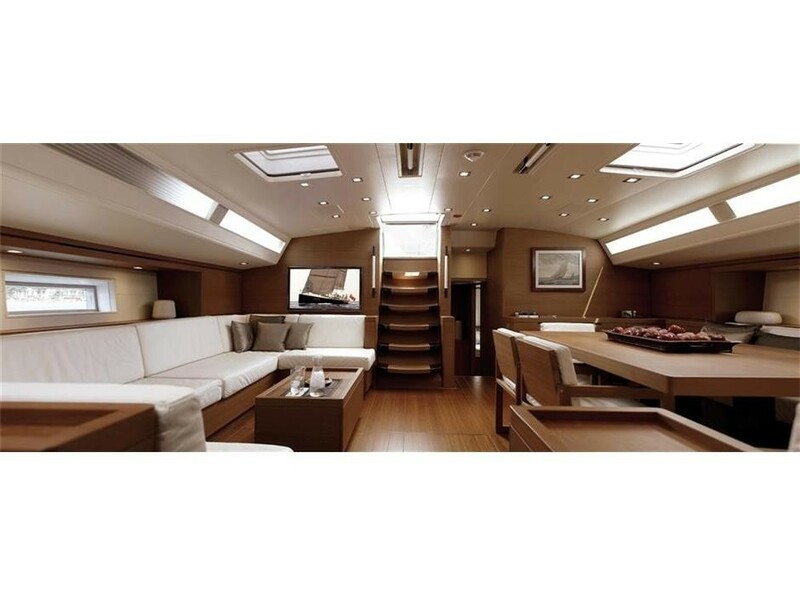 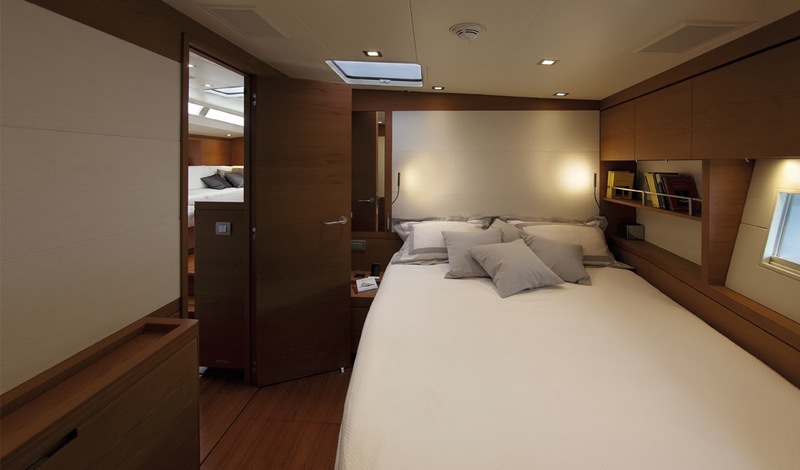 Luxury yacht CAPE ARROW can accommodate up to 8 guests across 4 cabins: 1 Master suite, 1 double cabin and 2 twin cabins. 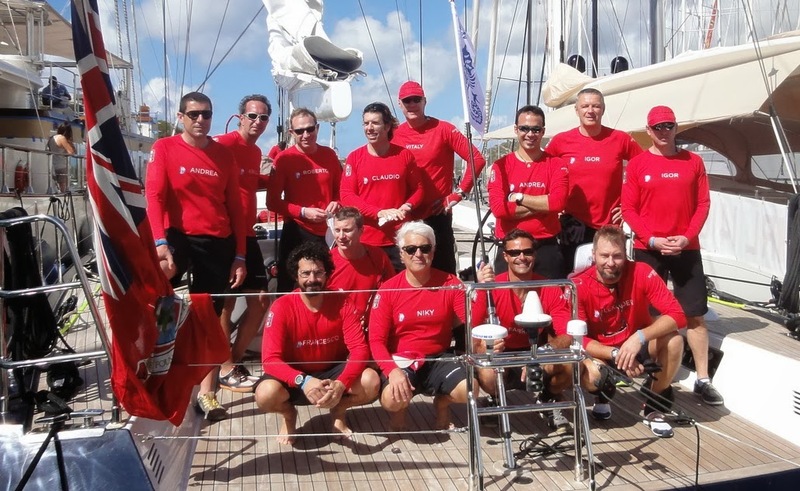 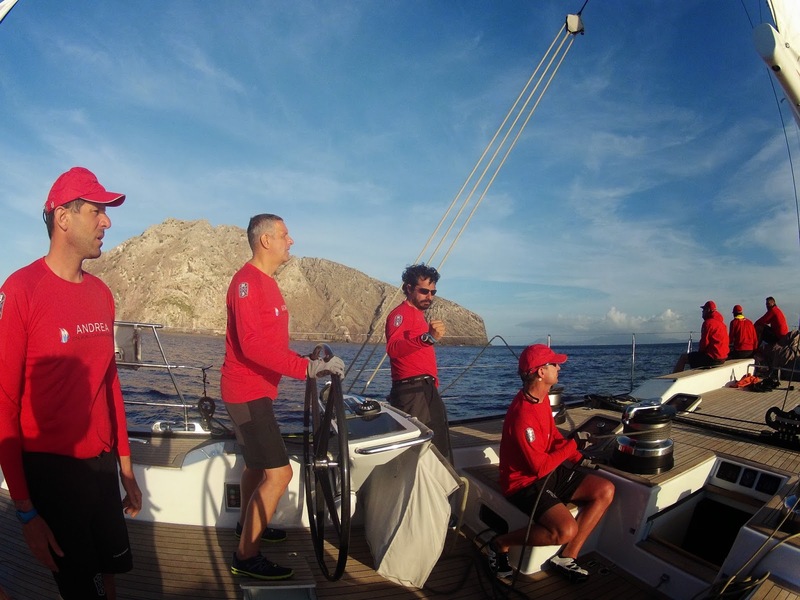 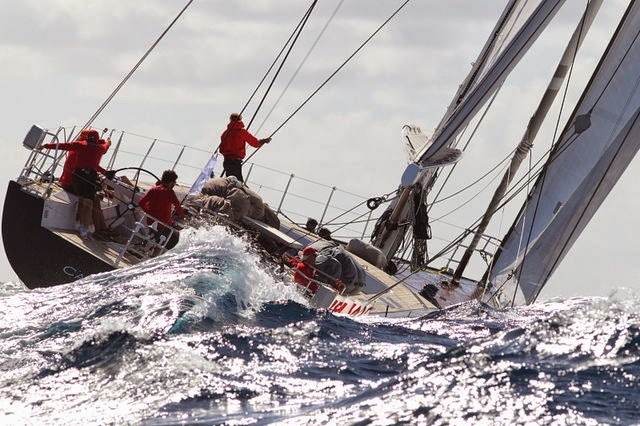 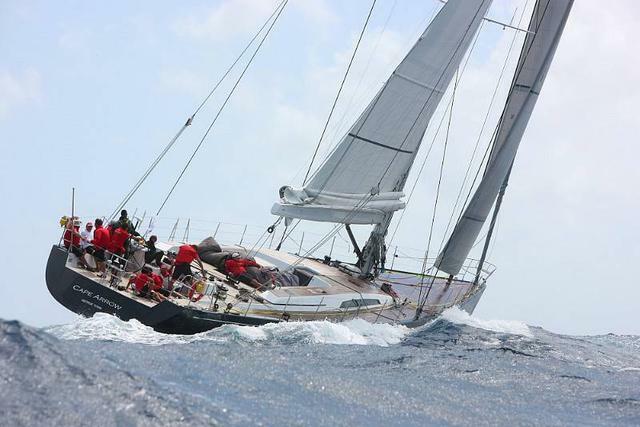 Her dedicated crew of 4 will ensure that all details are taken care of throughout the journey. 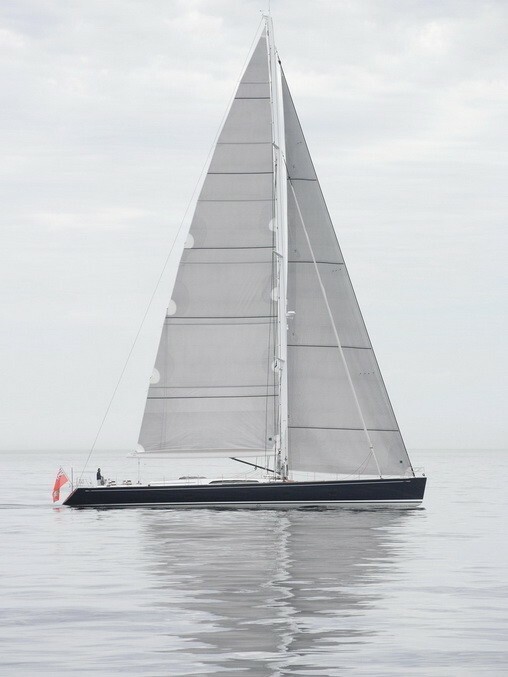 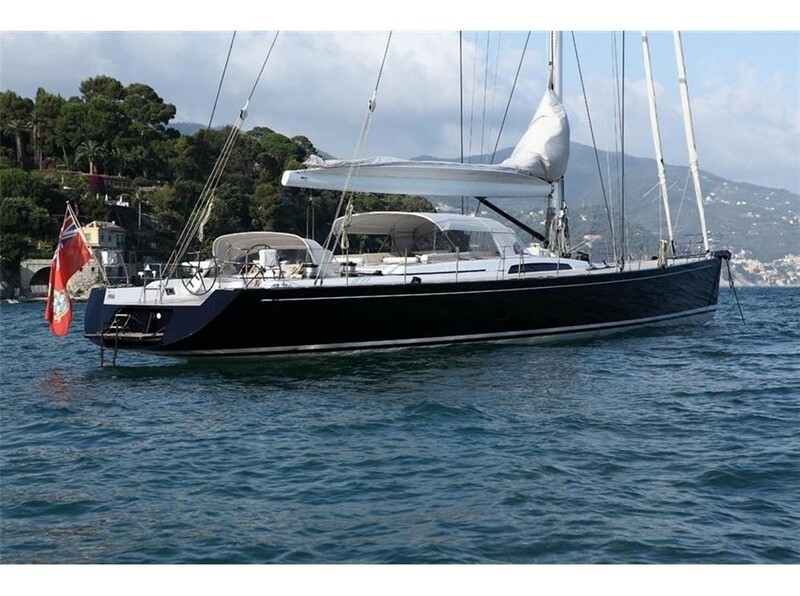 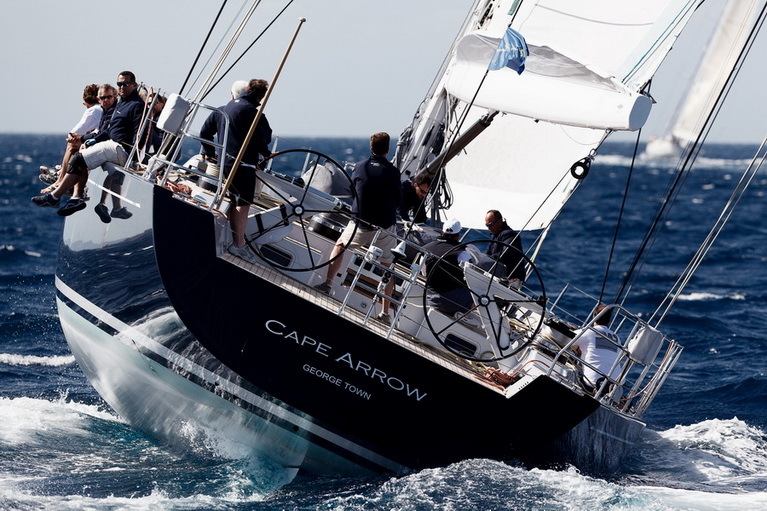 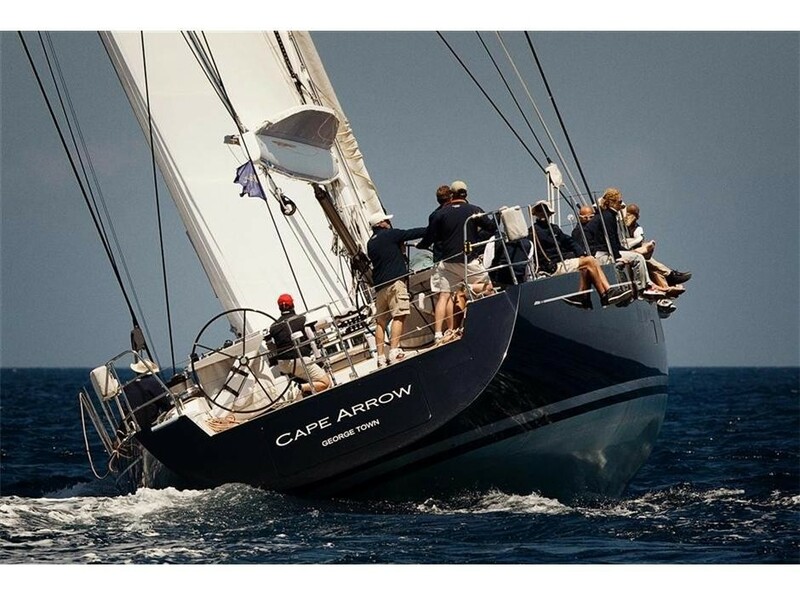 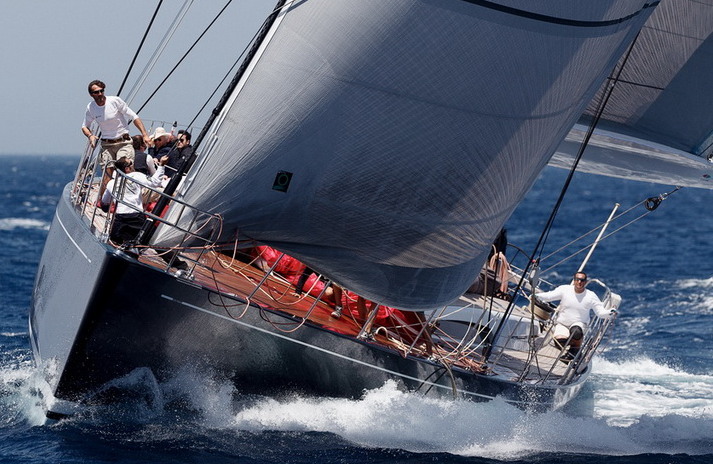 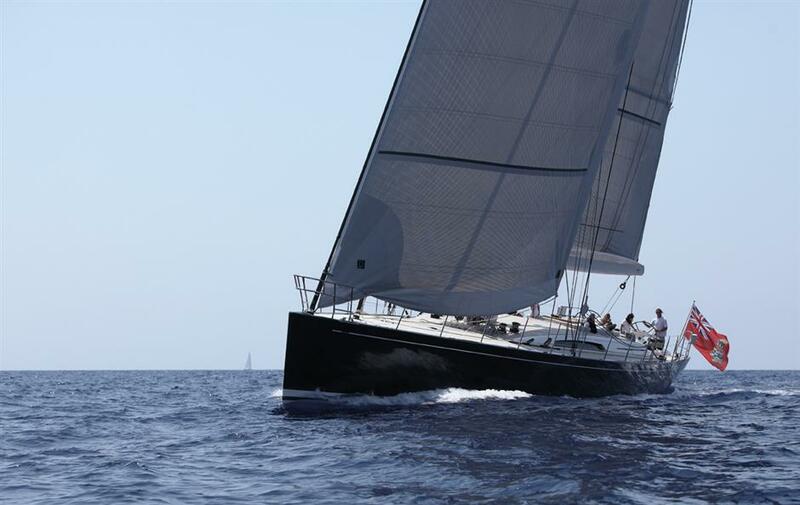 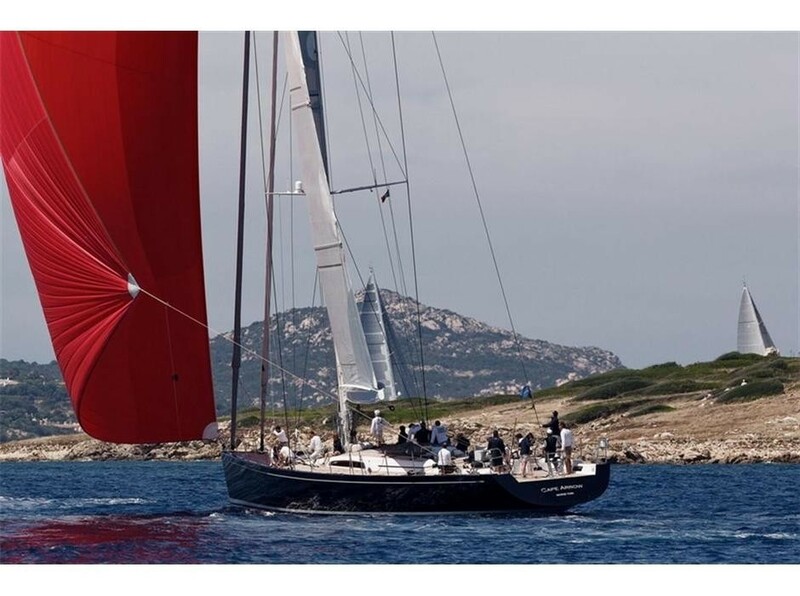 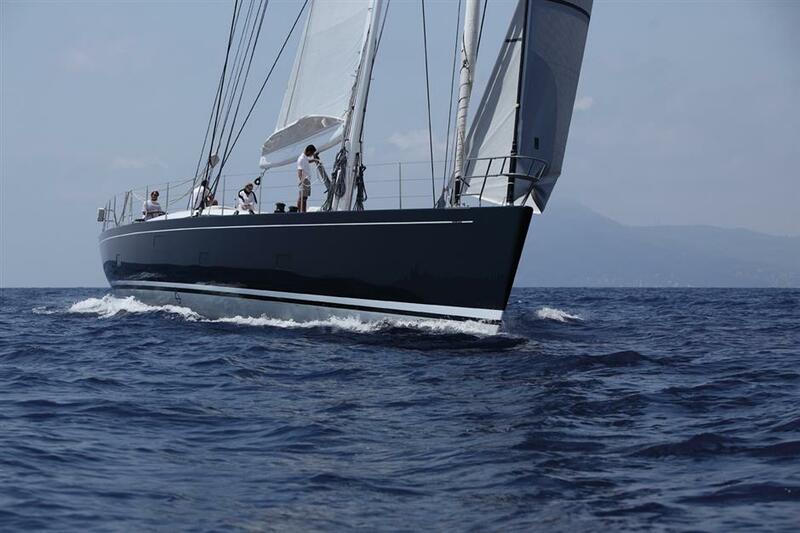 We do have available further amenity, owner and price information for the 30.2m (99'1") yacht CAPE ARROW, so please enquire for more information.